We were tasked with finishing the development of the companies WordPress blog. Furthermore, we were to integrate the blog into their Magento based website, and bring Cloud B’s social media profiles in the new blog. We utilized a traditional wireframe concept system to present ideas to Cloud B, and from here were able to implement a group of plugins and an entirely custom theme. 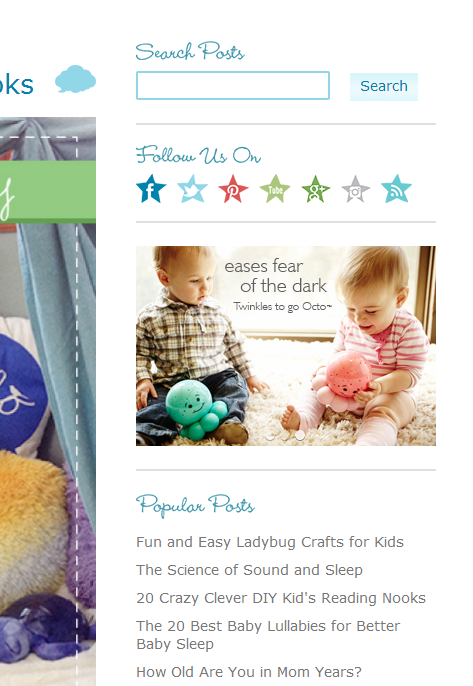 In doing so, we were able to keep a consistent and cohesive look throughout their site. The project was finished on-time and in-budget, and three years after the blog was launched it now houses over 330 fantastic posts! 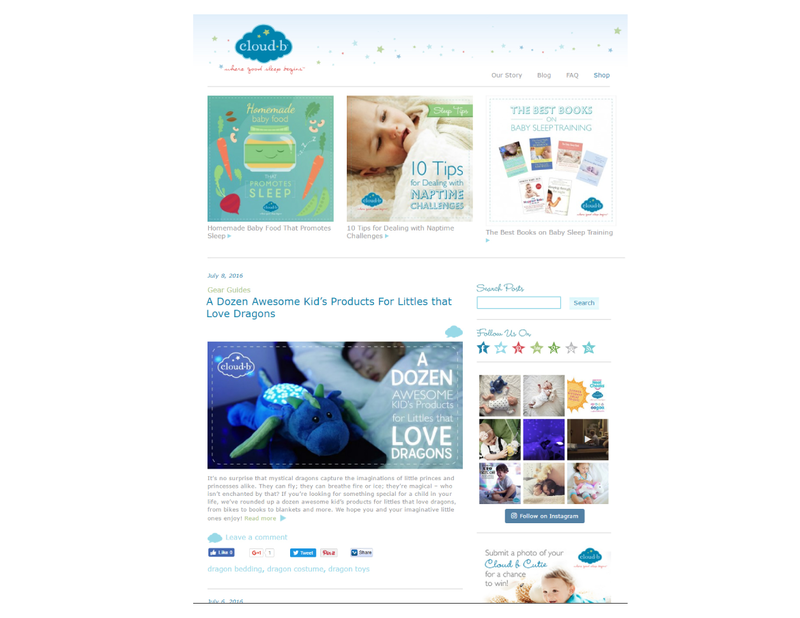 Cloud B is a Los Angeles-based toy company with worldwide distribution that designs toys to help children and new parents sleep. We were brought in to pick up where a prior development firm had left off, and we completed the blog and helped integrate the branding of the blog with the larger website and social presence. After implementing a large number of plugins and an entirely custom theme, we were able to put together a consistent and cohesive look and feel for their tremendous content. Much to Cloud B’s relief, we finished the project on time and on budget. Check out their blog for yourself! 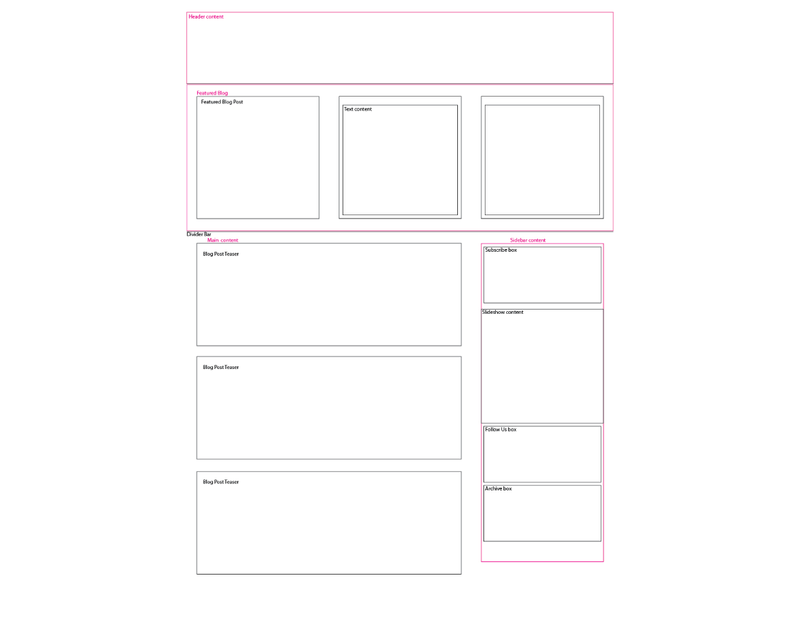 The wireframe proved to be a valuable component of this project. By making use of this conceptual strategy we were able to convey a swath of valuable information to the client for review without sinking man hours into fleshing out concepts that would be limited by plugin specific elements. Wireframes saved on cost while providing a pathway to move forward effectively and efficiently. Three years on the blog is alive and thriving! 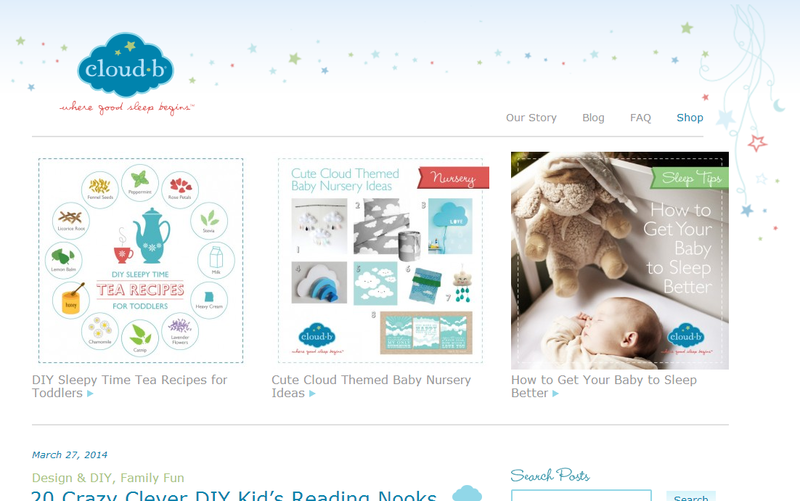 Since the blog system has gone live, Cloud B has spent countless hours writing and providing valuable information for parents around the world with their blog. It now contains over 330 posts.